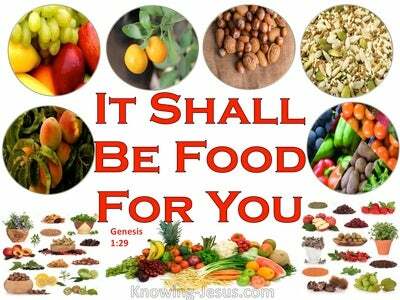 What Does Genesis 14:19 Mean? Melchizedek was king of Righteousness and king of Peace and he was also priest of God Most High. It was as Abram was returning from his victory over a group of rebellious pagan kings, who had kidnapped his nephew Lot, that Melchizedek, king of Salem, brought out bread and wine. Melchizedek is a most beautiful symbol of the Lord Jesus Christ who is the true King of Righteousness; the only King of Peace and Great High Priest of the Most High God. It was in his priestly capacity that this intriguing individual met God's servant, Abram, bearing the two precious emblems of our Christian faith in his hands - bread and wine. In Hebrews we discover that Melchizedek was "without father or mother, and possessed no genealogy - having neither beginning of days nor end of life'. He came out to greet Abram - the blessed servant of God... who would become Abraham, the great patriarch of Israel and exemplary father of all who live by faith". 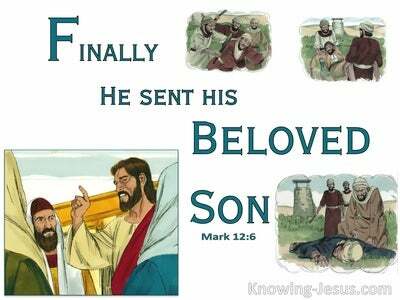 And Abram gave Melchizedek a tithe of all the captured wealth that had been recovered on his mission of mercy to rescue Lot. 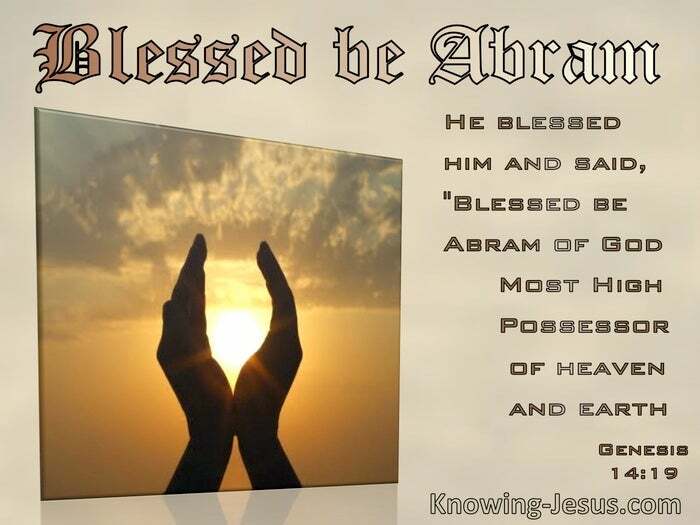 We read that Melchizedek gave him a blessing and a promise, with the words: "Blessed be Abram of God Most High.. Possessor of heaven and earth..." Abram refused to be bribed by the crafty king of Sodom who offered him all the remaining glittering good he recovered from his mission of mercy. This servant of God would not accept so much as a sandal strap from this sneaky, pagan king.. who wanted to boast that he had made God's servant wealthy! Instead, Melchizedek, priest of God Most High, revealed to Abram that the Lord God Almighty is Possessor of heaven and earth and He alone is the One who will supply all our needs, in great abundance - pressed down and running over for the Lord our God owns the cattle on 1000 hills. Abram was to learn many things from this encounter with Melchizedek. He was not to be afraid, no matter what circumstances arose and later he had blessed confirmation of the promise of a SEED, from God. Because of his faith Abram soon discovered that God was His Shield and his exceedingly great reward.. and his name would be changed to Abraham. 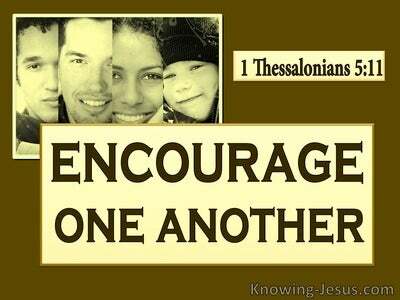 Through him, all the families of the earth would be blessed. 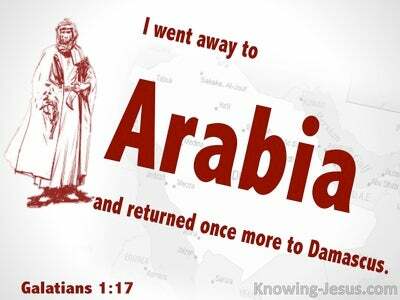 Abram is an amazing example of a man who believed God and his faith was credited to him as righteousness. As a result, God blessed him in many ways and even met him on the road.. bearing bread and wine and delivering great blessings that would follow him down through time and into the ages to come. 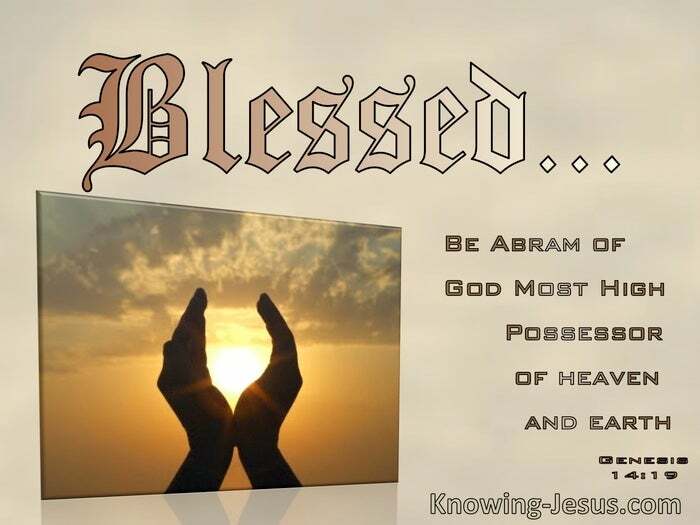 Every one of us has the same opportunity to follow in Abram's footsteps and trust God at His word, and with it receive heavenly blessings from our great God and Saviour - OR we can choose to accept the glittering prizes of this passing age and forfeit all that God has prepared for us.